First of all, I’d like to apologize for skipping my February update! I had quite a few things catch up with me at the end of the month, but that just means this update will be fuller than usual! Thank you for your patience. I’ve loved getting back into missions season! We hosted an exploratory team from NorthRock church in Ann Arbor, Michigan who will be sending their first missions team ever to us later this year. It was great meeting them and of course we love sharing our passion for what God is doing here in San Salvador. Rock City Church in Columbus, Ohio sent the first team of the year just last week! It was such a breath of fresh air seeing old friends and meeting more people from my home church. 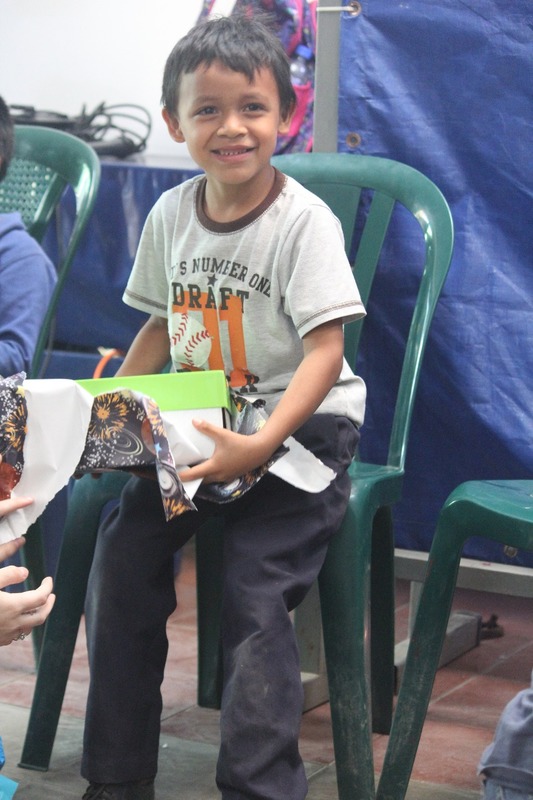 In both Children’s Development Centers in Soyapango and the Volcano, the team built beds for children that have never had their own bed, shared the gospel with many, and gave new shoes to every child and staff member in our program–over 250 pairs of shoes! Apart from all the extra help they bring with them, my favorite thing about mission teams is that they remind me of the “why”. By telling them my story and the story of the ministry here, God’s calling for me to continue serving here is reaffirmed and it helps me to reset my mindset when lots of tasks may sometimes distract me from the purposeof completing them. 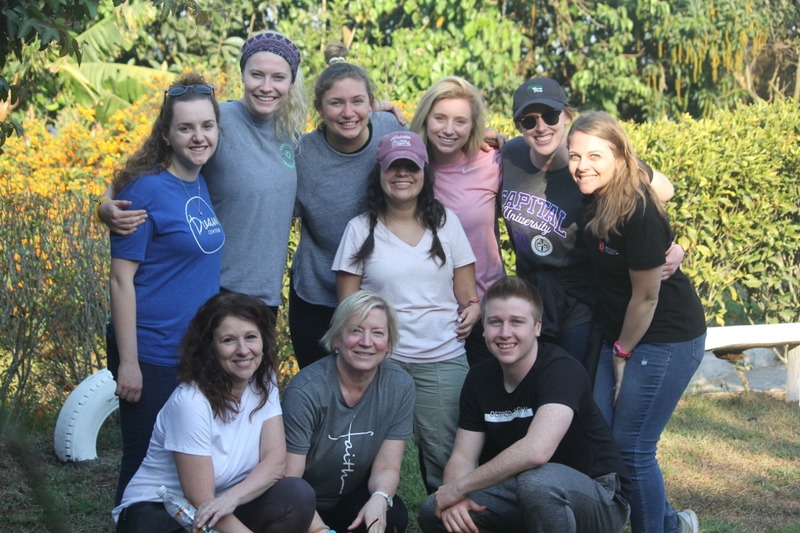 Enjoy the pictures below and click on the link to see a recap video of their week serving with us–one of Chepe’s main responsibilities with mission teams. Rock City Team Recap Video! Over the next few months, my main focus as Missions Coordinator will be to prep for the other seven teams we will be hosting by the end of the year! Please pray for wisdom as we look to plan out the teams’ agendas according to God’s will. As Child Sponsorship Coordinator, I’m in charge of keeping updated rosters for our Centers, which change at the beginning of each year. So, I’ve spent lots of computer time making sure to update all of our kids’ data as well as add all of our new children to the list. For all new children, I needed to make their profiles to send out to potential sponsors and to update our website. Take a look at all the children currently in need of a sponsor HERE as well as read more about our program. Would you join us in praying that God would provide sponsors for these children? 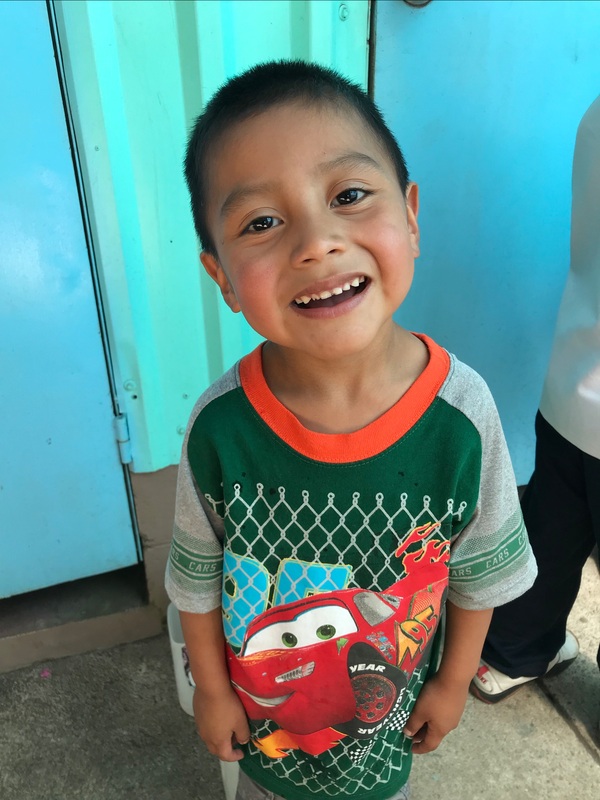 A deficit in sponsorship means we aren’t able to serve these children as well as we would like, and we don’t have a lot of room to provide for extra or emergency needs. So, we are trusting God to make up the difference since we know He was the one to bring these specific kids to us! Every year, members from all GCLA churches across Latin America come together in San Pedro Sula, Honduras for a three-day conference. 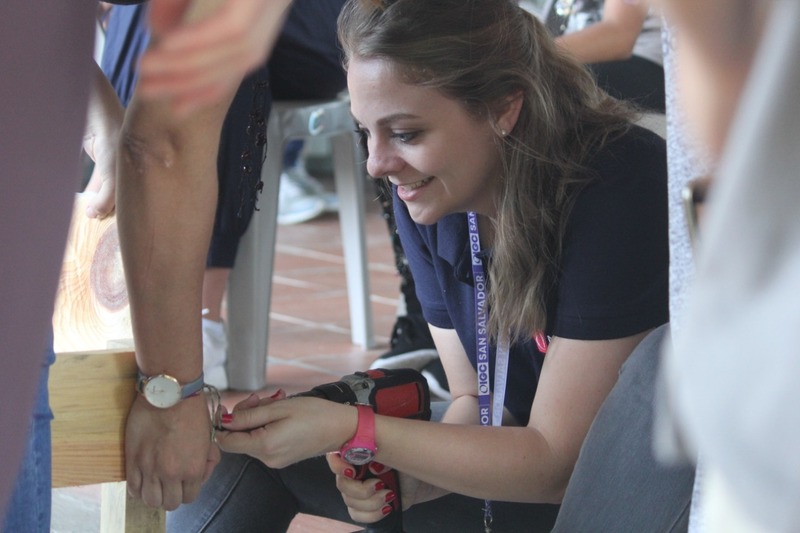 Taking advantage that most of Latin America has all of Holy Week as a national holiday, GCLA uses it as a time to connect those from different countries but all with the same passion for Jesus. This year, we will be heading to San Pedro Sula from April 17-20th to participate. We’re expecting over 50 people from our churches here in San Salvador and Soyapango to join us! Our youth small group (that Chepe has been leading since January), has been selling brownies and hosted a pupusa dinner to help cover part of the cost for those attending from our group. My contribution has been making over 20 batches of brownies! With seven people from our group attending, we’ve already hit our goal of raising enough to cover transportation costs! Praise the Lord! In early February, El Salvador elected a new president – Nayib Bukele. Nayib was an unexpected and polarizing figure in the race, and members of our church have varying opinions about who was the most qualified candidate. Because of the volatile nature of recent elections in Central America (Honduras, Nicaragua, etc. ), there was some concern that similar riots or fraud could take place here. Praise the Lord that nothing like that occurred! Personally, I stay out of political discussions here because regardless of who is in charge of the government, my mission and purpose for being here remain the same. Despite that, I pray that the Lord would find ways to bend Nayib’s ear to His voice and that new ideas would ultimately improve the economic and international status of El Salvador. Would you join me in praying for El Salvador’s leaders, economy and relationship with the international community–especially with the United States? Gracias! Chepe and I wanted to thank all of you for your kind words and well wishes in this new season of being engaged. We are loving this stage of life and are so excited about our wedding this fall! We are so fortunate to have this opportunity to continue serving the local church here and advancing the gospel in San Salvador in the years to come! Please pray for us as we prepare our hearts for marriage and that we would always stay sensitive to His leading. Your support is essential to making this possible and we thank God for you daily! For Chepe and I to find balance in our schedules as we continue to serve full-time in ministry, prepare for marriage and plan our wedding! It’s easy for me to say that January has been one of the greatest months of my life. There’s a lot to cover so, happy reading! I have been dating José for a little over a year, though many of you know him as “Chepe” (che-pay). Chepe is a nickname for José and what most people in our church call him, so it stuck with me early on! We met back in December 2014 when I was visiting El Salvador on an exploratory trip to confirm God’s calling for me to move here. We attended the same Christmas dinner party and exchanged a “nice to meet you” hug and a kiss on the cheek (customary for Salvadoran culture). I estimate we only spoke about two actual words to each other that night. We moved from acquaintances to friends when I was serving here as a volunteer over summer 2015, and I had more opportunities to bond with the youth of our church. 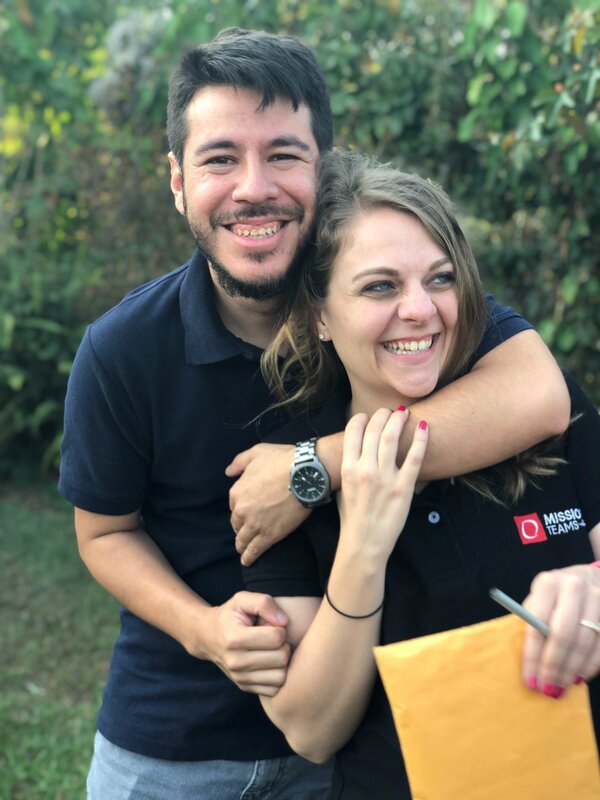 A few months after my move to San Salvador, we realized that our friendship was growing into something more and sought advice from our family and pastors. This was a crazy time for me, as I was adjusting to a new job, culture, and home life all at the same time. We decided to only be friends for the year of 2017 and intentionally seek the Lord in that time. We (finally) began dating in December 2017, and soon after realized that we were going to be in it for the long haul. 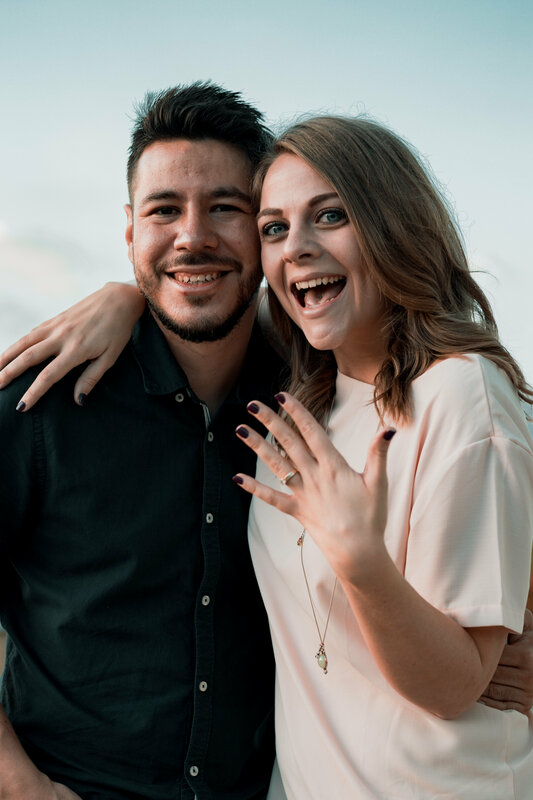 After thirteen months of dating (which included visits from my family to San Salvador), Chepe began planning the perfect way to make it official. I was whisked away to a surprise location and taken up to a private terrace with a beautiful view of the city surrounded by volcanoes. Chepe gave a sweet speech (which I can’t actually remember any of), got on a one knee, and asked me to marry him! 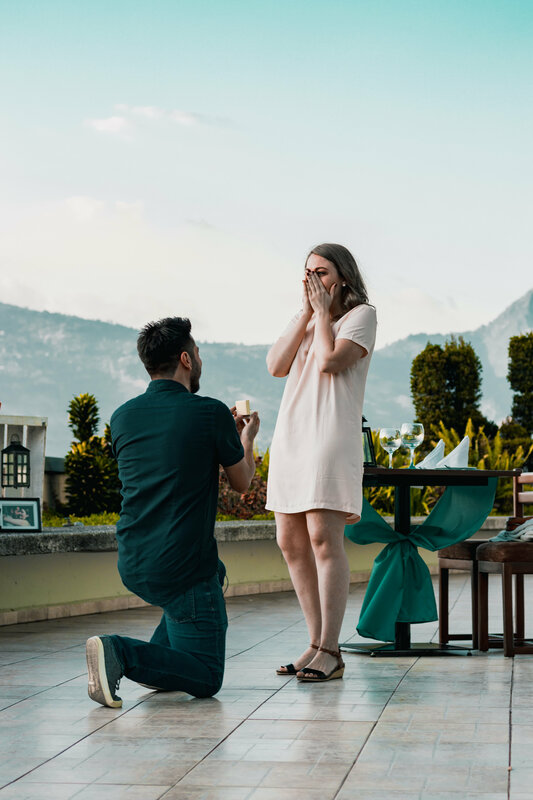 I can’t remember saying “yes” in all the excitement but he assured me that I was nodding emphatically. We celebrated with a private dinner on the terrace, watching the sunset and calling family and friends to share the news! My absolute favorite thing about Chepe is how he loves Jesus and uses his life to serve our God. He was born here in El Salvador has been a member of Great Commission Church since 2002, serving in the worship ministry and as a youth leader. 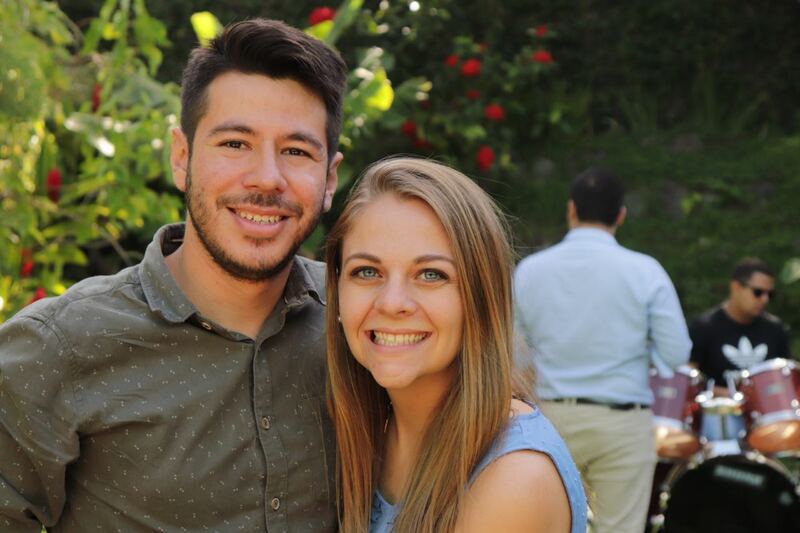 He went on staff with our church in late 2017 – so we’re coworkers too! His main roles are managing our social media presence and overseeing production of Sunday services. He also helps me out a lot during the weeks that mission teams are here. I love when our roles in ministry overlap and I get to see his heart for the kids I love so much grow at the same time. This month has also been full of ministry activity! After returning from my furlough on December 28th, I got to enjoy New Year’s with my Salvadoran family while planning out my goals for 2019. 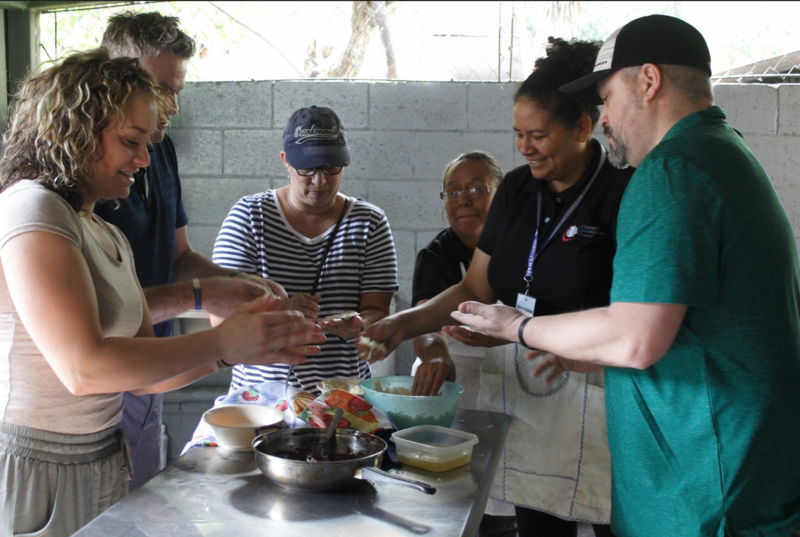 Last week, we hosted a visit from our partners, Total Health, that support our medical clinics in the Volcano and Soyapango. Our Children’s Centers also opened up for the year this week! For me, this means a lot of admin work as I need to verify that all of our kids officially register for the program and update any profiles needed. We always get a lot of brand-new kids at the beginning of the year too! Below is a sneak peek of a few absolutely adorable newbies that will be joining us this year. Will you join us in praying for all of our kids as they begin the school year and work back into a routine? No matter how near or far you are from me, you guys are essential to my ministry work here in El Salvador. Thank you for your continued support and encouragement! For Chepe and I. That we would savor this season of engagement and press into God’s guidance to make wise decisions about wedding plans, finding a home, etc. For 2019 mission teams. As I work more and more on the details, please pray that God would be present in that entire process. Also, pray for the hearts of the missionaries that are preparing to serve alongside us this year. For our children at the Development Centers. Please pray for motivation to start the school year out strongly and, as always, for their safety while living in these high-risk areas. We’re ten days into the new year, and like many I’ve taken some time to reflect on all that I experienced in 2018. 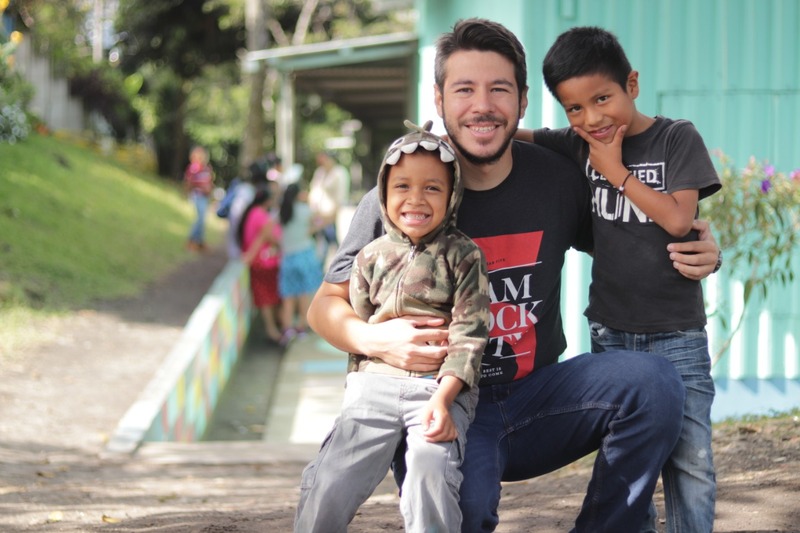 As you guys are a vital part of what God is doing in San Salvador, I wanted to share my thoughts with you. Happy reading! …I was walking into a season of transition in my roles here in ministry. 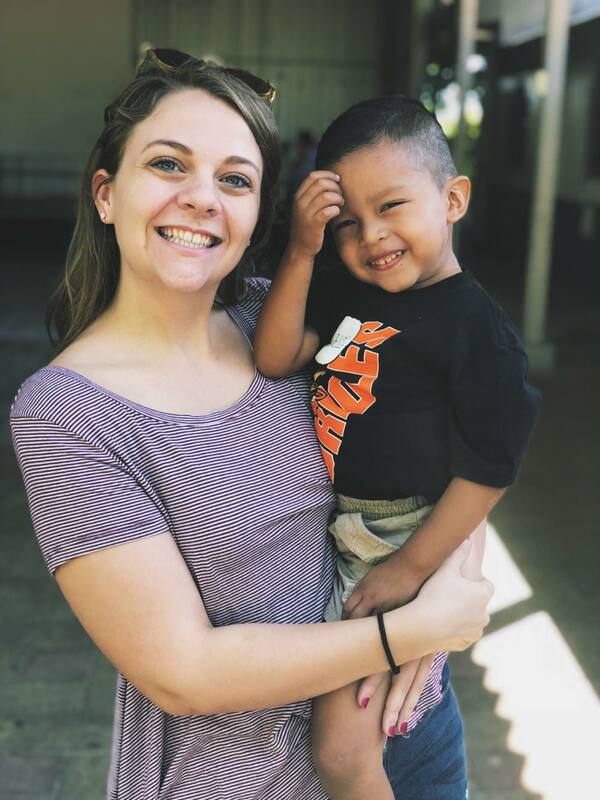 Coming off of a year of teaching English and promoting child sponsorship, I was tasked with a big responsibility as Missions Team Coordinator. This meant I would no longer be able to teach and would instead focus on mission teams while I continued on as Child Sponsorship Coordinator. I met this change with mixed emotions including excitement, apprehension and a few insecurities as well. I was hoping that God would take over the process but at the same time I doubted my capability to master this new title. Learning things little by little, the Lord reminded my heart about what my head has known all along: this is His. I’m so grateful for all that He’s taught me through this transition and through all the familiar faces and new friends that visited us this year. And now, with nine mission teams totaling 158 missionaries under my belt, I pray that God will continue to impact the lives of so many in San Salvador through the ministry I have the privilege to be a part of. …I hope to have made a greater eternal difference. My physical life here on earth is but a blip on the radar that is spiritual eternity. Reminding myself of that as I walk into 2019, I want to make the most out of the time God gives me to serve in San Salvador. I ask that He teaches me to love better, learn more and live boldly for His glory this year. the work God has done from beginning to end. Let’s give God the space to make 2019 one for the books! Got a ten? 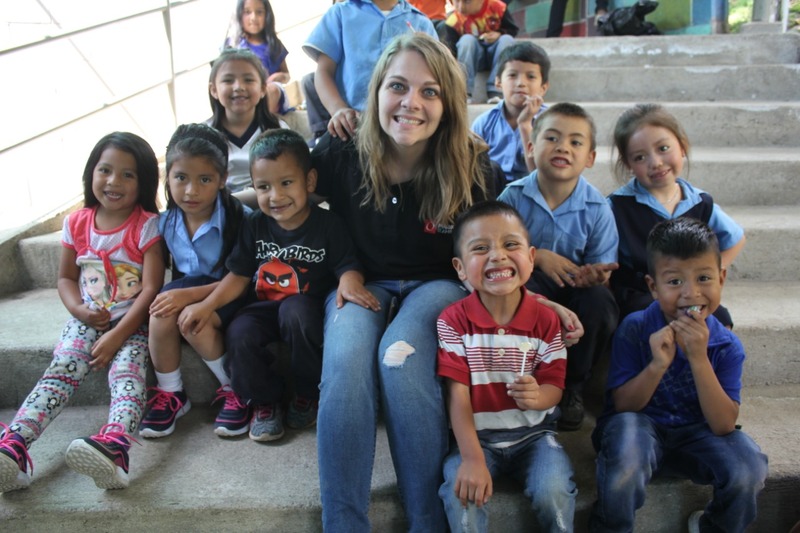 Help me stay in San Salvador ministering to children and families in poverty! As my partner in ministry, we’ve had the joy of journeying together over the last two years. We’ve seen young girls like Nelly, who felt forgotten by society, come to understand that God loves her, knows her and has a wonderful plan for her life. We’ve seen unwed mothers like Claudia find hope through Jesus because of her child’s involvement at our Children’s Centers. All of a sudden, this work that I came here to do has been transformed by God into something important in the community which reaffirms that I need to continue. But, in order for me to continue here in San Salvador, our Lord needs to provide $600 in new monthly support. While looking over my list of faithful ministry partners, I realized something incredible! I have 60 financial partners who have continued to faithfully be a part of this ministry. If each partner increased their giving by $10 monthly, I would be fully funded and free to continue ministering. That’s right, I need $10 in order to stay in San Salvador and continue serving the church and Children’s Development Centers. Would you take a moment right now to prayerfully consider increasing your partnership by just $10 a month? All you need to do is send one quick email. 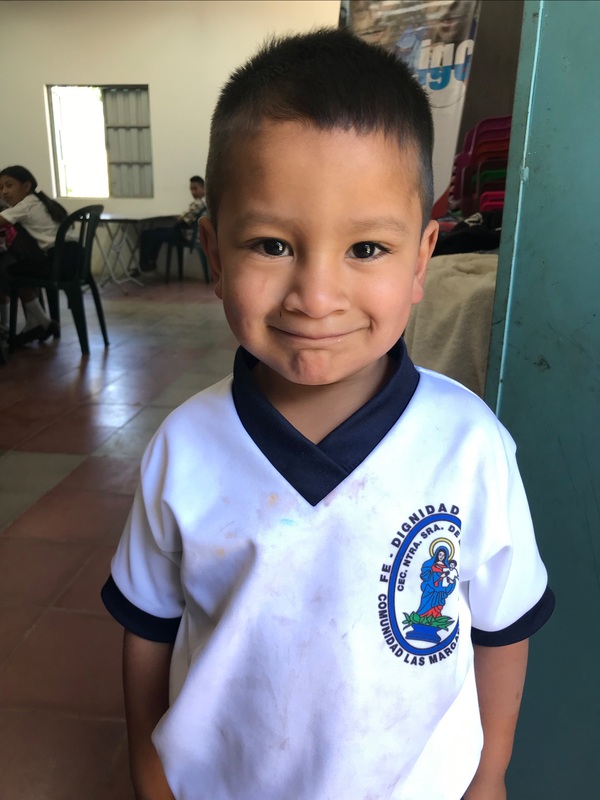 Email gift.services@reliant.org with your name and that you would like to increase your monthly giving for Ali Howard to the amount you choose. That’s it! – You’re done! Is a phone call easier? You can call Reliant Gift Services at 877-614-4600 to make any changes over the phone with the Reliant office Monday-Friday 8:30am-4:30pm, EDT. Not a financial partner? I could still use your help! Would you consider partnering with me at $10/month or more? You can set up a recurring gift by visiting reliant.org/ali.howard and selecting “Give Now” or by calling Reliant Gift Services at the number above. Thank you from the bottom of my heart for choosing to be a part of what God is doing in San Salvador. You are making an eternal difference! Hello, dear family and friends! 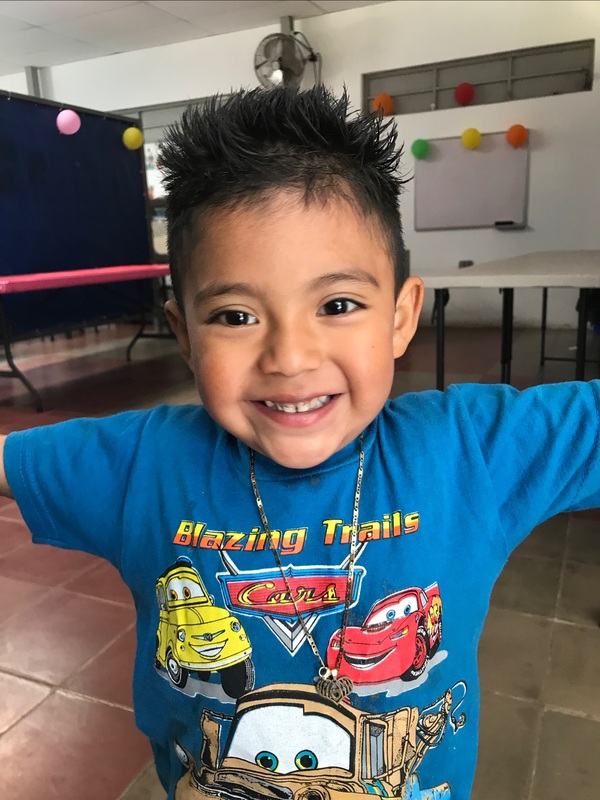 Reconnect with current supporters to share about how their generosity is advancing the Kingdom in San Salvador. This is a chance to thank you guys in person and answer any questions you may have about my work on the mission field! Wanna catch up when I’m Stateside? I’d love to! You can respond to this email or message me and I’ll reach out to set up a time to grab coffee or dinner. I also love meeting new people and sharing about what our Creator is has going on in San Salvador. Let me know if you’d like me to speak to your small group or meet up with friends or family of yours! Raise additional support to close my current financial gap and account for expected increases in expenses. Reliant missionaries see an average of a 20% drop in monthly support between each furlough, which means they work to replenish that gap while in the States. In my case, I’ve seen less than a 20% drop in finances (Praise God! Thank you! ), but I still have a significant deficit which if left as it is would eventually affect me on the field. To support ministry activities and better fulfill my roles, I am also planning on buying a car early next year. I already have the funds to be able to purchase the car, but I’ll need to account for the monthly expenses that come along with it (insurance, gas, maintenance). Please pray for me during this time as I seek $500 in new monthly support by the end of the year. If you are one of my current supporters, I also ask that you prayerfully consider increasing your monthly gift to go towards this goal. Recharge and rest alongside my family and friends while basking in the comfort of my home culture. 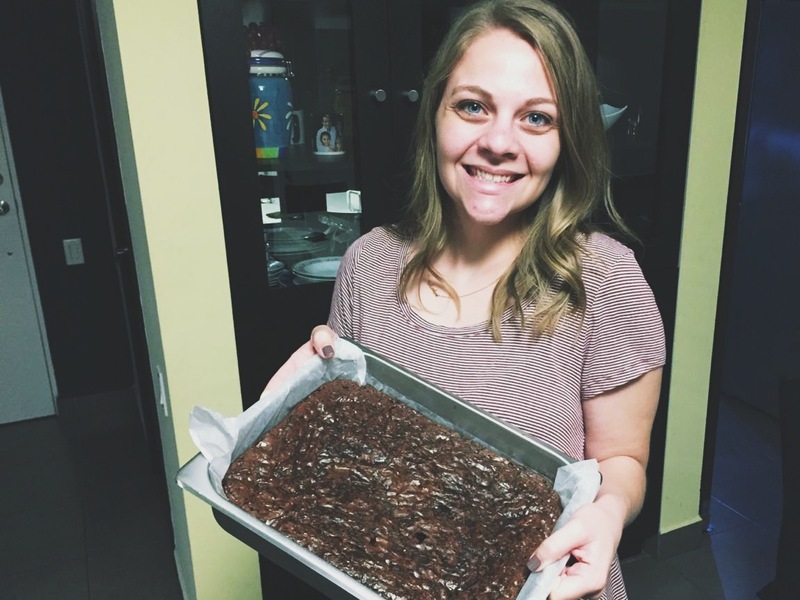 At a missionary training before moving, I learned that life living abroad is an amazing experience, but it also comes with a certain low-level stress as I confront and adapt to cultural differences on a daily basis. Extended time in the States will allow me to let go of those burdens for a while and enjoy some sacred time with those I’ve known the longest and deepest. I’m really looking forward to this social and spiritual refresher! God is using you to make the work He is doing in San Salvador possible. Thank you for all that you do for me and for those we serve! For God’s provision and boldness as I meet with potential supporters to make up for the $500 monthly deficit. For myself as I wrap up some of my responsibilities here in San Salvador before leaving for the States. For safe and smooth travels between countries and states over the next few months. 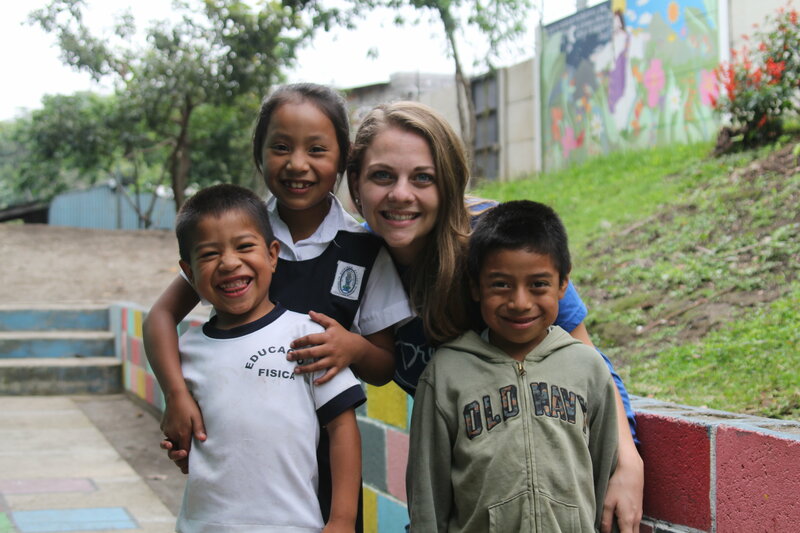 I love Jesus, planning, and the kids I work with in El Salvador. 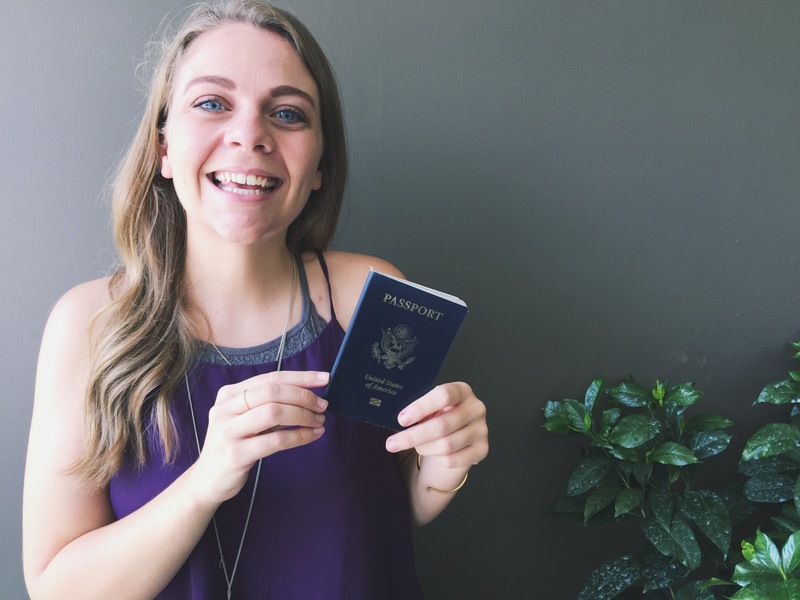 Here you can catch up on what life is like for me as an international missionary. I’m gonna go ahead and interrupt your regularly scheduled Easter program to wish a huge HAPPY BIRTHDAY to my guy 🎉🥰 🎈⁣ ⁣ Babe, estoy tan agradecida a Dios por haberte puesto en mi camino y por haberte hecho tal como eres. Espero que la pases de lo máximo hoy y que comprendas un poco mejor lo mucho que te amo. ⁣ ⁣ ¡Celebremos! I’ve been watching these three grow up for almost five years now, each experiencing loss and wonder in her own way. Each with her own story. Thanking God today for the chance to be a part of these and so many other stories of His love and grace.